We’ve seen plenty of interesting vending machines all over Japan, even for interesting marketing, though the recent Smart Vendor in Shibuya Station might just take the creativity award home. 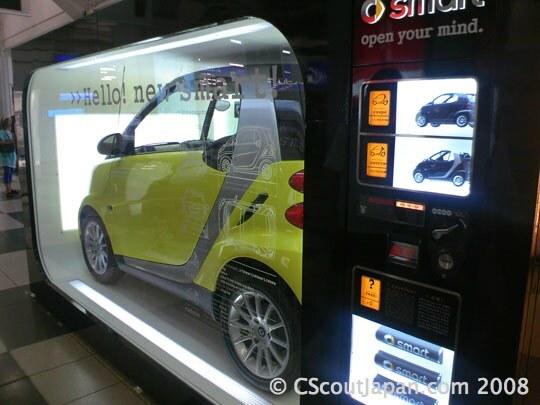 Holding a full-size Smart Car, the faux vending machine has two choices (coupe and cabrio), and a convenient slot to insert the amount you need (about $20k). Of course, this is a concept only, but is a nice extension of their already creativevending machine idea that fits right into the Japanese love for instant gratification on-the-go. Besides, could you do this with any other car without it seeming like a big joke? 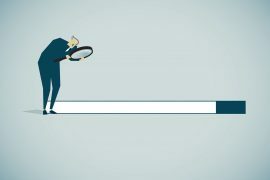 Pushing the button on the vendor won’t exactly pop out a car, but it does dispense a branded tube containing pamphlets on the new models, dealer information, and a sheet of Smart Car stickers featuring the available colors. 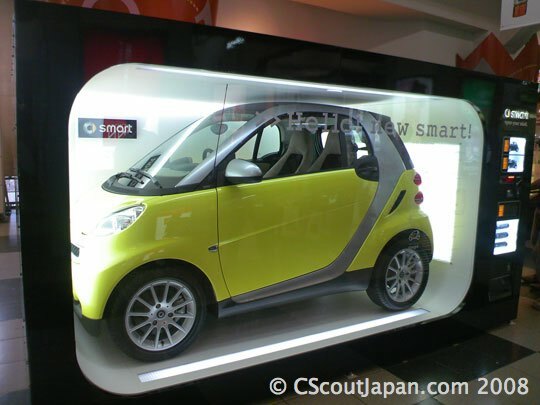 Now the big question: Will the Smart Car become a hit in Japan? One would think “yes” because of limited space, but cutting the car in half still won’t give us anywhere else to park unless the parking spaces are cut in half as well. However, with rising gas prices and a burgeoning Eco movement in Japan, it just might make the dent it wants to. The Smart Vendor’s time in Shibuya Station is now over, but you can catch it in three more spots around Japan in the next month.